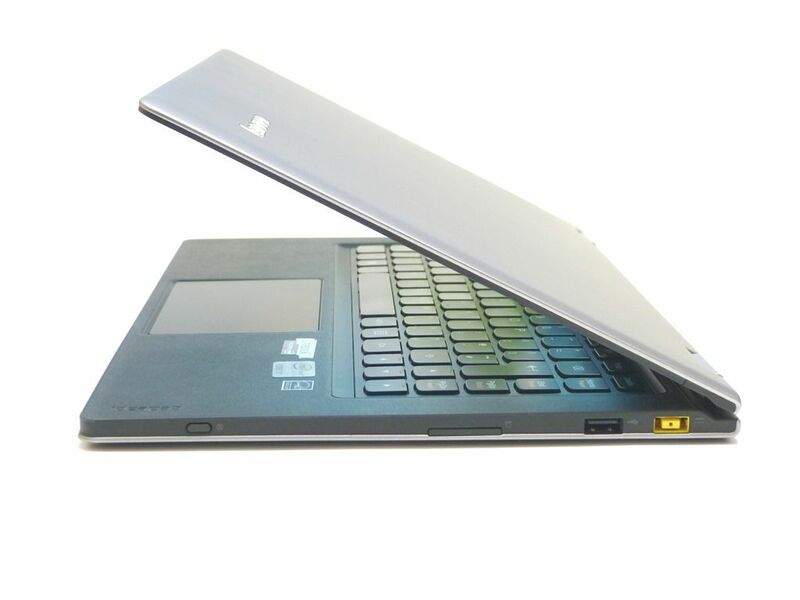 Tag Archive | "ultrabook 2013"
Choosing a Laptop; The Ultrabook made it Harder. I’ve just fired-up my blogging tools after reading this. Shopping for a laptop has got harder since the Ultrabook launched. Hell, even shopping for an Ultrabook is getting harder now that you’ve got three definitions on the market and devices like the Acer P3 that look like tablets and devices like the Dell Latitude 7000 which might, or might not be an Ultrabook depending on the version you buy! Then there are devices that look like Ultrabooks, but aren’t. The price range of $433 [today] to over $3000 doesn’t help either. The Verge have published a nice piece about what’s coming to the Ultrabook scene later in 2013. 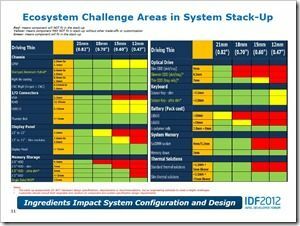 We’ve already reported on the Touchscreen and WiDi requirement (and what it really means) but via an interview with Kirk Skaugen we’re given a few more interesting statements. The biggest of which is a confirmation that Connected Standby is coming. The current Ultrabook design guidelines require 13.3” screen products to be no more than 18mm thick. An extra 2mm are allowed for touch enabled devices. 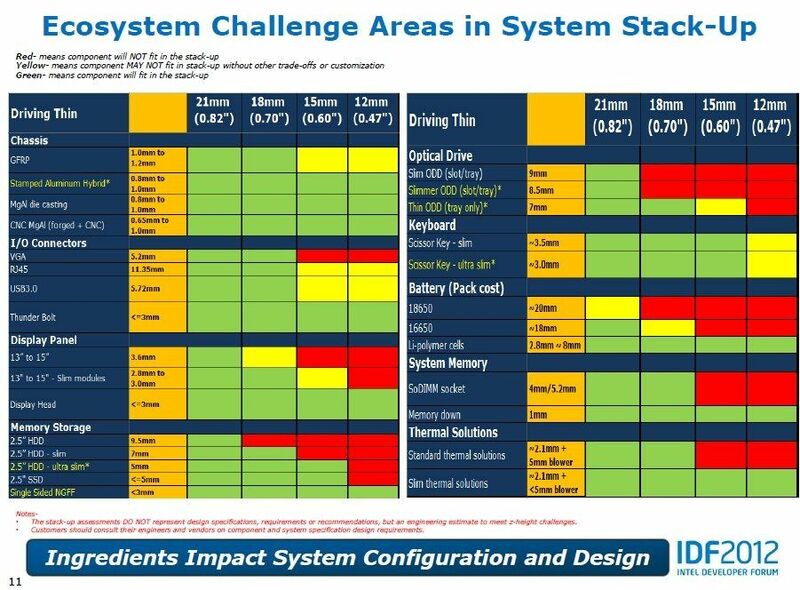 In the future, Intel think, at least in theory, that 12mm is possible. It will require advanced design but the technology is almost available. One wonders if Apple may be going along this route for the new MBA. They are one of the few companies that have the money to design something like this and then sell it the premium price it will need. I’ve been to a number of Intel Developer Forums over the years and can tell you that it’s the most important event on my calendar. Not only do you get to see new products launched and have the ability to report about the news coming out of the event but you get to answer deep technical questions and talk to very experienced engineers. You come away with not only an idea about what’s launching today but, if you read between the lines, you can work out what’s going to happen in the next year. IDF Beijing starts on the 11th April. I’m not attending this one (I usually attend the San Francisco event in Sept) but I can guarantee there will be a busy week ahead as news develops and the technical session PDFs get released.